Today is day 4 of our sneak peeks for the upcoming release! Dont forget...our release is THIS WEDNESDAY! The stamps will go live on the site at 8pm CST and we'll be partying the night away in our Forum. We would just LOVE it if you joined us! Today we are sneaking a new set designed by Lindsay Spencer. I could not be happier with this set! When I asked Lindsay if she would design a set based around dandelions, and said i'd love to see some different styles of images as well... i had no idea i'd be so in love. Ok, so i had a hunch, but still! She really outdid herself with this set! This set comes with 9 stamps in total. 2 are sentiments, and 2 are separate little fluffs. One is a more medium size ish stamp, 2 are large and then one is HUUUUUGE. Ok, not too big for a card front, but still a nice full card size. 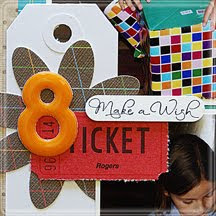 These are great for scrapbooking or cardmaking! 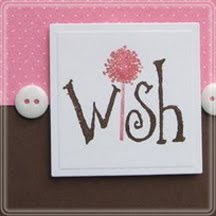 You may notice too that some of the Paper Makeup Artists cards have other wonderful "wish" sentiments on them. 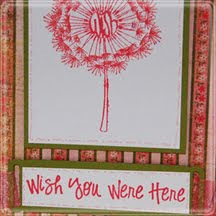 If you dont remember them, these sentiments were release when the Kirsten fairy (blowing on a dandelion!) was released! These all coordinate perfectly with this set! And now... here are some samples from the Paper Makeup Artists. Dont forget to click on the image to be taken to their blogs and see the full picture! So you are drooling, right? You want this set? Just leave a comment here and you're entered to win! Winner will be announced at the release party! All of these dandelions are adorable, but I really, really love the dandelion made of hearts- spectacular! This is my favorite so far. 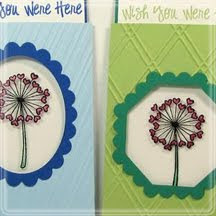 Love the idea of blowing wished from dandelions. Great card samples! These are great samples!!! I cant wait for release day! 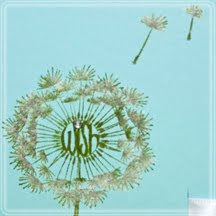 Love these dandelions and I'd love to win this set! Thanks for the chance! Sigh. Yep, I still totally am in love with this set. I played with it again last night and it's my new favorite! All of the Makeup Artists did AWESOME with this set, but when they are so fabulous, how can you not??? Drooling... Well, that's an understatement. :) This set looks fab! ooh I love this set!! Love all the cards ! oh what a fun set this would be neat to use with sprout or any of the other fairies. What a great set! I don't have any yet but recently joined the challenges. Would LOVE to win just like everybody else! LOL Thanks! 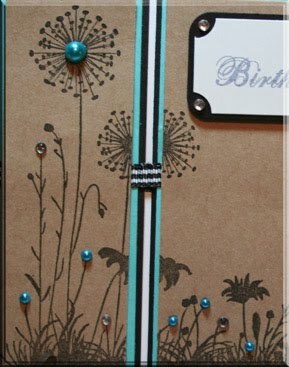 Ohhh....I love dandilion stamps! Very pretty. I love this set!! I have no dandelions yet. Thanks for the chance to win! what a great set! and the design team never ceases to add a lot of wow to the images being released. I think a quote from Horton Hears a Who would be just perfect with this set. "A person's a person no matter how small." I love the dandelions.... I'm so excited for the release party!!! Wow so cute! I love the blowing dandelions. You guys are such teases..LOL I can't wait to see the release!! I am sooo drooling! I love this set. Love love love this set!! WOW!! And all of the samples by the DT are gorgeous!! OH WOW!! Yes, I would LOVE to own this set!! Truly amazing! Oh I love this! I passed up on another dandelion set earlier this week ... I sure am glad I waited!! It was fate :). This is going to be the first new release in my cart! LOVE it!!! I am crazy for dandelions too. :) GREAT set! You all have elevated the lowly dandelions to great heights, just as the winds do. The sentiments are great seeds of expression too. Wonderful job ladies! Oh, wow! This set is amazing. I just love what the DT has done with it!! Beautiful!! Oh my, this set looks gorgeous!! WOW! These are just the sweetest dandelions. So versatile and can be used to do so many different cards. Can't wait to get it. I'm fascinated by the dandylion stamp. Can't wait for the release. This set is AMAZING! What creativity to design it, but I can not WAIT to use it!